Old Road Leh - 194101 - Ladakh J&K (INDIA), Leh-Ladakh. 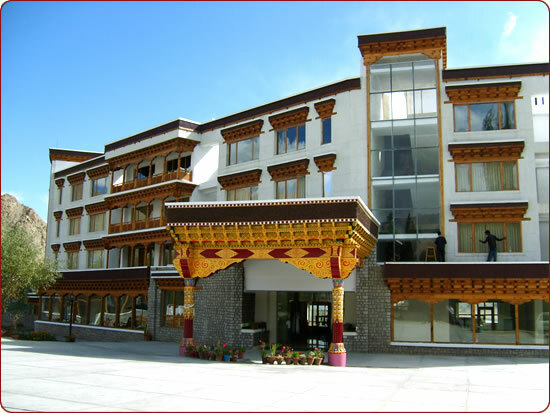 It is the oldest hotel in ladakh built in 1974. It is an excellent example to show the Tibetan hospitality and culture. Every year, it attracts large number of tourists. It has 32 well furnished rooms with all the modern amenities including air conditioner, television, attached bathroom, hot and cold water, tea/coffee maker, telephone etc.